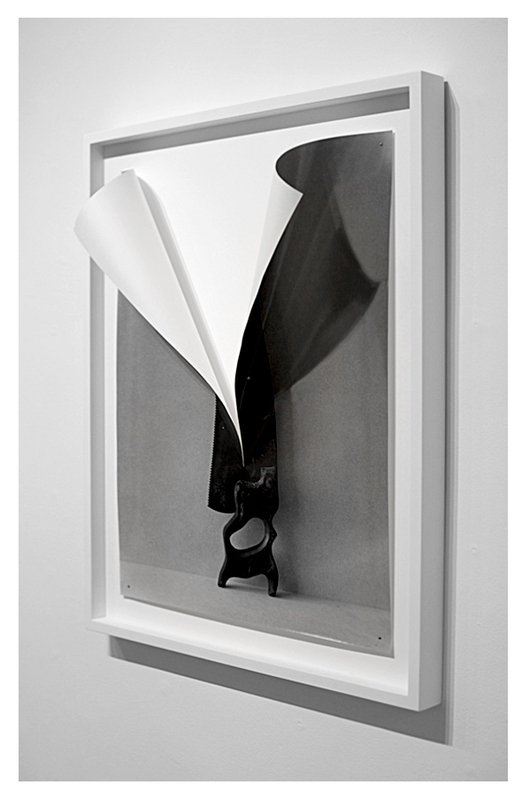 In these works I was interested in producing an interplay between the image and the world. 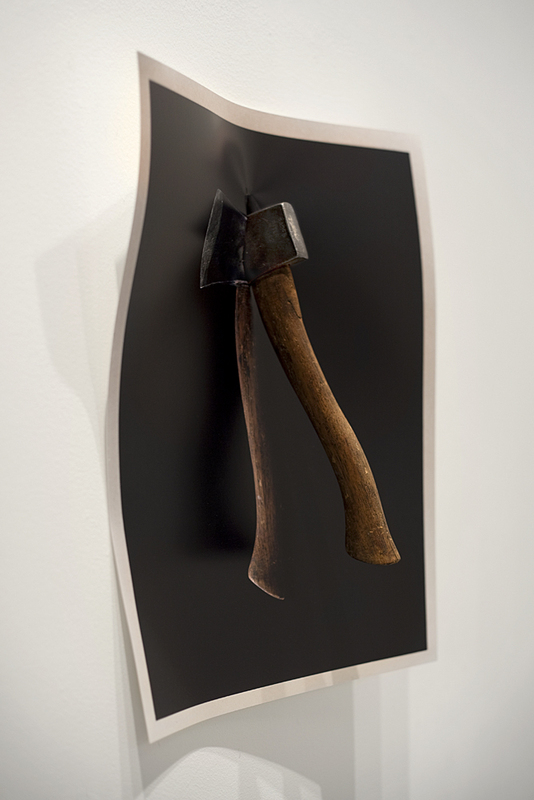 In The Halt an axe embeds a photograph of its own exact image directly into the gallery wall, denying the photograph recourse to the past through its permanent tie to the present. 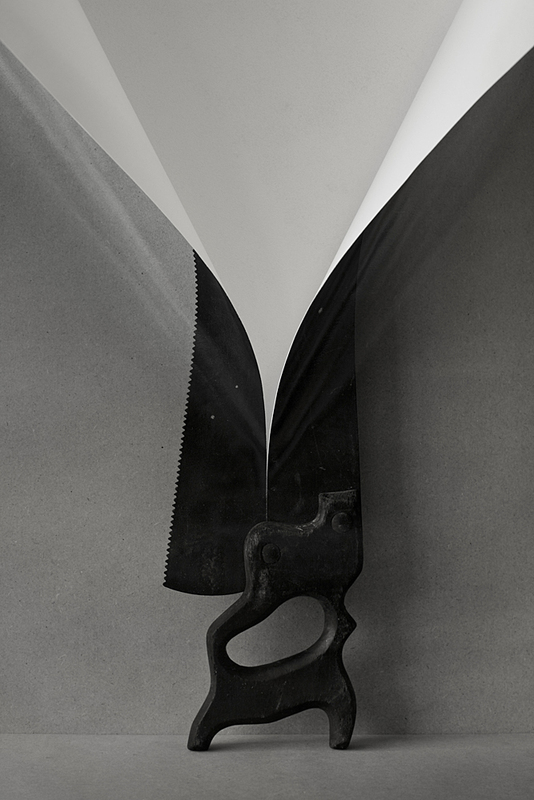 In Relation a photograph of a saw is partially sliced, the cut belonging equally to the sculptural shape of the photographic paper object and to the peeling blade of its contained image. 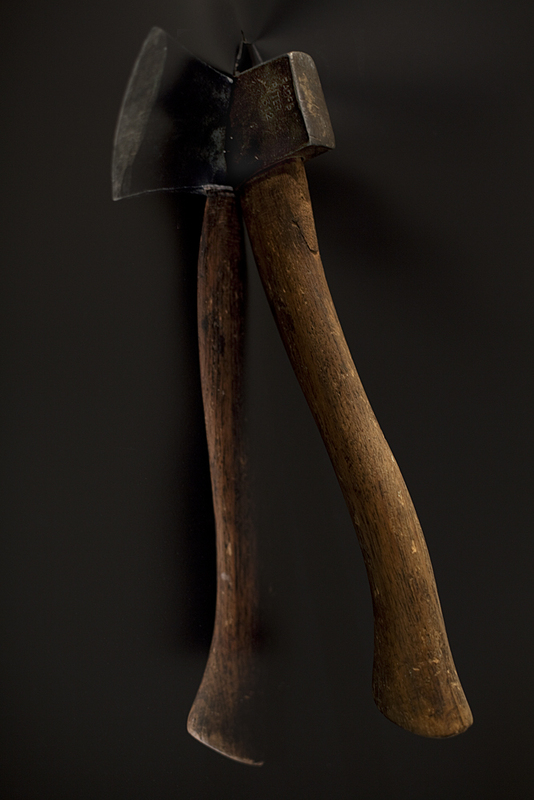 In such pieces the gaze falls on, as well as in, the photograph, producing friction points where world and representation overlap, each affecting, each re-referencing the other.